Fits under the kitchen sink or under the counter. Equally suitable for water from all sources. Slim and sleek Under Counter UV Purification System that fits under your kitchen sink, saving counter space! 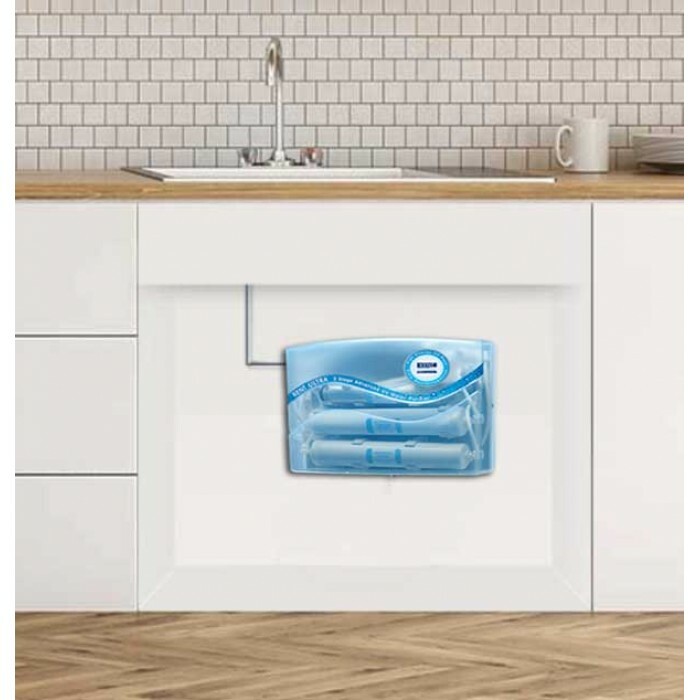 The fully automated operation with auto-start and auto-off, backed with a computer controlled operation ensures energy saving while providing you advanced 3 stage purification processes for your daily intake of water! Kent Ultra Under Counter Water Purifier is an easy to afford online UV water purifier. It has an elegant design, fit for any kitchen. It saves expensive counter space and provides convenience while drawing water with its Stainless Steel high quality faucet. 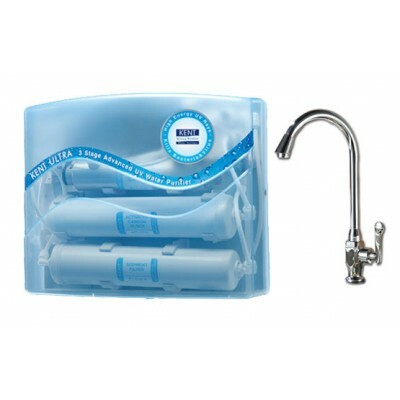 Kent Ultra Under Counter is based on 3-stage advanced filtration process. It uses a combination of Sediment Filter, Activated Carbon Filter and UV Disinfection to give safe drinking water free from all contaminants and micro-organisms. Kent Ultra Under Counter is tested and certified for its performance and quality by renowned laboratories of the world such as WQA in USA. WQA Gold Seal is one of the most recognized certification in the drinking water treatment industry and provides assurance that the products have been rigorously tested and comply with all the requirements of the testing standards. Kent Ultra uses high-powered 11W UV lamp instead of the Industry standard 8W UV lamp, to provide a much efficient de-activation of harmful micro-organisms. High-wattage ensures better safety against harmful micro-organisms like bacteria and viruses. Non-breakable feature of ABS plastic ensures higher durability & longer life of the purifier. Food grade classification ensures that no harmful chemicals leech into purified water. Its safe and excellent to use! This RO purifier is tested and certified for its performance and quality by world's renowned laboratories, such as the WQA, NSF and ISI. These achievements guarantee that KENT gives millions of trusted people people the most purified water.